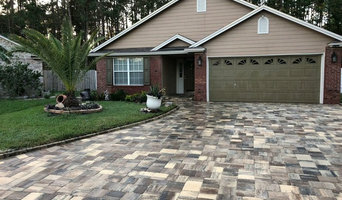 Jacksonville's Quality Paving Experts- Best of Houzz 2017-18 Winners! Our services to include paver driveways, patios, retaining and garden walls, sidewalks, stone walls, and more all come with the same promise of quality, dedication, and durability. 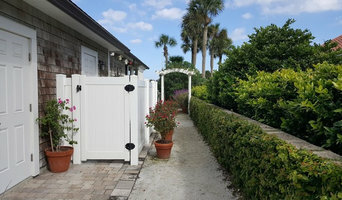 In the Garden Landscape and Design in Jacksonville Beach is a unique offering of landscaping services and selections presented by expert horticulturist and event manager, Louise Johnson. Live Aloha - Inside and Out serving Florida's First Coast - On the Outside, we offer expert and creative landscape design, craftsman quality installation and white glove landscape care. Full landscape Installation, Planting & Sod, Bed Remodels, Patios and Walks, Water and Fire Features, Outdoor Kitchens and Wood Structures, Low Voltage Lighting and Irrigation... All done with Aloha! On the inside the creativity continues with Katrina's artist touch. ...Painting and finishes, Fabrics and Design.. A decorator service to assist you in creating beautiful spaces inside and out. And it is all with Aloha! Our mission: to deliver excellence, quality and Aloha to everything we do and everyone we meet. Founded and operated by John Mauriello, Mauriello’s has served Jacksonville and The Beaches since 1999. Our family business is dedicated to providing reliability and excellence in service. Jacksonville business locally owned and operated specializing in tile, marble, stone work and other flooring - Free quotes, design help and installation. FERID Marble & Tile Inc.
Ferid Marble & Tile Inc. is St. Johns County's high end marble and tile professional. With over two decades in the industry, our Father/Son duo will offer a range of services. Whether you are needing tile or marble flooring or needing tile backsplashes in your pool, we are ready to exceed your expectations! 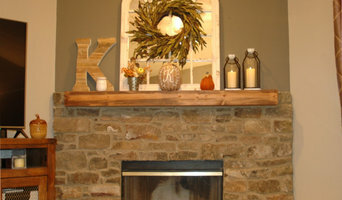 We are your One Stop Shop for all of your interior design needs! We offer residential and commercial flooring, cabinets, countertops, closet systems, outdoor kitchens, interior trim, custom blinds and shades, backsplash, knobs and pulls, painting......anything to do with interior design. No job is too big or too small. Estimates and measures are free! First Coast Enterprises of NE FL, Inc.
Remodeling the First Coast since 1985. Whether a multi-million dollar custom home or a bathroom remodel, our team began with a singular purpose; build enduring relationships through customer service and quality. Ever since, that has been our mantra. And our repeat business shows our philosophy works. Simply put, we deeply care about the people we serve and want to be the company you turn to no matter what need may arise. Southern Brothers Landscape, LLC. 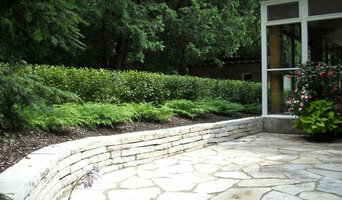 is one of Gainesville's top landscaping companies. We are proud to be family owned and operated. We have 25 years of experience making people's landscaping dreams come true. We are happy to be serving North Florida for all of their exterior needs. We offer a variety of services such as Landscape Design and Installation, Hardscape Design and Installation, Driveway Tear-out and Installation, Irrigation Installation and Repair and Erosion Drainage Installation . We are dedicated to providing the highest quality, best valued products and services available today. Arcusstone is a crushed limestone coating, and is a beautiful, durable, affordable, and timeless alternative to stucco coatings, cement finishes and paint. Arcusstone is pliable, and can be field applied to Vertical walls; over Stucco, EIFS, Cement Board, Concrete, and even Sheetrock; or can be applied Horizontally as a resurfacing overlay on top of concrete driveways, decks, walkways, etc.. - before it hardens to it's designed state of 5800PSI. Arcusstone is also widely used, in the manufacturing of Lightweight, and Structural Precast. If you’re in need of some brick or stonework, hiring a qualified Jacksonville masonry contractor will be your best bet. Masonry construction in Jacksonville, FL can include anything from building walkways and structural walls to repairing old or broken stonework, using materials like brick, cement, concrete and stones. Some Jacksonville, FL masons do all types of masonry work, while others specialize in certain structures or materials, so be sure to find the right masonry contractors in Jacksonville, FL for your job.